Here at Noko Support HQ, I often get lots of requests for integrations. 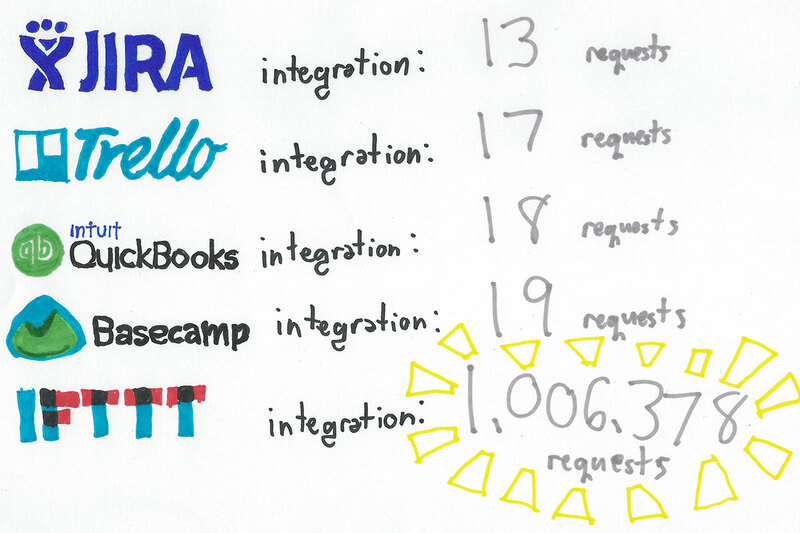 Whenever I get an integration request, I make note of who asked for the integration, and eventually how many times that integration has been requested. Soooometimes I’ll pad the numbers a bit, if I feel that this integration will help a particular set of customers. Alright, so maybe “a bit” was a slight understatement. But that’s not the point of this blog post. The point is that integrations make your life easier and they save you time. And in case you haven’t noticed, we’re all about saving you time. Now you don’t have to. When you use Noko’s Basecamp integration, your Basecamp projects will automagically appear in Noko. You can even archive projects in Basecamp and they’ll quietly float off to archive-land in Noko. Allow Noko to access your Basecamp account by clicking the green ‘Yes, I’ll allow access button‘. If you’re already logged into Basecamp, Basecamp will ask you for permission to allow Noko to access your Basecamp or Basecamp Classic account. If you’re not already logged in to Basecamp you’ll be asked to log in first. Noko will either connect you to your Basecamp account, or if you have multiple Basecamp accounts, Noko will ask you to choose the account you want to connect to. Syncing happens automatically but you can choose to to manually start a sync (though that probably won’t ever be necessary). Once the syncing is complete, you’ll see what projects were synced to your Noko account. And that’s it! Easy as pie. Your Basecamp projects will all sync to your Noko account and you can track time to them without having to create a new one. Read up on this and other integrations on our documentation site! Now go forth and track thine time!